This is a Baltimore City medical malpractice lawsuit against the University of Maryland Medical Center and one of its surgeons filed on February 3, 2016. Plaintiff claims that she should have had what is called an open procedure to repair her hernia, which is a traditional surgery where the doctor makes an incision and can get direct access to the abdominal area with the surgeon's hands. Instead, a laparoscopic procedure that was performed. 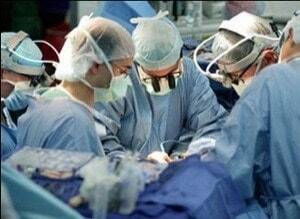 During the procedure, the surgeon perforated the patient's bowel which led to hospitalizations and surgeries. Plaintiff claims the injury was caused because the surgeon picked the wrong procedure and was also negligent in failing to realize the bowel had been perforated. A 35-year-old woman presents to University of Maryland Medical Center for surgical consultation. She has a symptomatic umbilical hernia. The surgeon recommends laparoscopic repair of the hernia. The laparoscopic repair is performed on the woman's small 1-2 centimeter hernia. When repairing a hernia defect that is less than 3 centimeters in size, the standard of care requires that the surgical procedure is carried out by way of open laparotomy with a simple suture repair. Still, the surgeon proceeded with the laparoscopic repair utilizing mesh. During the procedure, the woman's bowel is injured. The Defendants fail to recognize and repair her injury intraoperatively. In an injured and debilitated condition, the woman is discharged from the hospital. Two days after the procedure, the woman presents to the emergency department of another hospital with complaints of nausea and vomiting, decreased urine output, an absence of bowel movements since her hernia surgery, and abdominal pain. A CT scan shows free fluid and air in the abdomen, indicative of the bowel perforation caused by the Defendants. Later that same morning, the woman undergoes an exploratory laparotomy. Upon opening the abdomen, the surgeon immediately notices 2.5 liters of fecaloid material resulting from bowel perforation during the hernia repair. The woman returns to the operating room 3 times in the next month. Twice she presents for intra-abdominal abscesses to drain excess fluids. After developing an infection, she is forced to undergo a surgical procedure for placement of a central venous access catheter in order to administer long-term antibiotics. The woman files a medical negligence lawsuit against University of Maryland Medical Center and the doctor in Baltimore City. She alleges that the Defendants violated the standard of care by failing to (1) employ appropriate surgical procedures, (2) diagnose her condition, and (3) evaluate the effects of chosen treatment and their surgical error. As a result, the woman has been forced to undergo numerous medical procedures and suffer unending physical pain, emotional anguish, fear, and anxiety. She suffers ongoing abdominal pain, lethargy, and has experienced a significant weight loss with an inability to regain her weight. The woman also files a failure to obtain informed consent claim. She alleges that the Defendants negligently failed to fully and properly inform and advise her of the risks associated with the procedure. The woman and her husband file a loss of consortium claim. They allege that their marital relationship was and continues to be interrupted as a result of the Defendants' negligence. There is disagreement in the medical community about whether hernia surgeries should be done laparoscopically. Plaintiff's claim does not appear to be that the surgeon was negligent in perforating the bowel. Instead, the claim is that the procedure should not have been performed laparoscopically in the first place which put the surgeon in position to cut the bowel. Plaintiff will also argue that the surgeon had a chance to remedy that mistake by recognizing the bowel injury and making an intraoperative repair. It is difficult to assess whether the surgeon should have known that the bowel had been compromised without reading the medical records of this patient. Some small bowel perforations often go unrecognized because they are difficult to find immediately after surgery. Because there is a lack of bacteria in the intestinal fluid compared to that in the colon, you do not always see symptoms of bacterial contamination in the abdominal cavity for days. CT scans are not of much help because they will show air and fluid in the abdomen which is what you would expect after surgery. Conversely, there are some leaks that the surgeon clearly should see, and without question the sooner the repair begins, the better the future outcome. The Complaint was not specific about the extent and scope of the Plaintiff's permanent injuries. That will be a big key in terms of the potential settlement value of the case. Dennis Bordan, M.D. - board-certified expert in general surgery. Practices at Saint Joseph's Regional Medical Center in New York.